Most of the mapping applications / software are not free; however, Google offers free maps and allows anyone to use their API. Of course there are other mapping services, such as Yahoo Maps and MapQuest. There are also several costly products, such as MapInfo, But, Google Maps API seems to work for everyone in just about every situation. I’m the developer for ILOVENY’s Summer site (see the attached screen shot) and I used Google Maps for all the maps used on on ILoveNY.com. For a good example of using color symbols in a website map, look at the Rail Station map I created for the website. 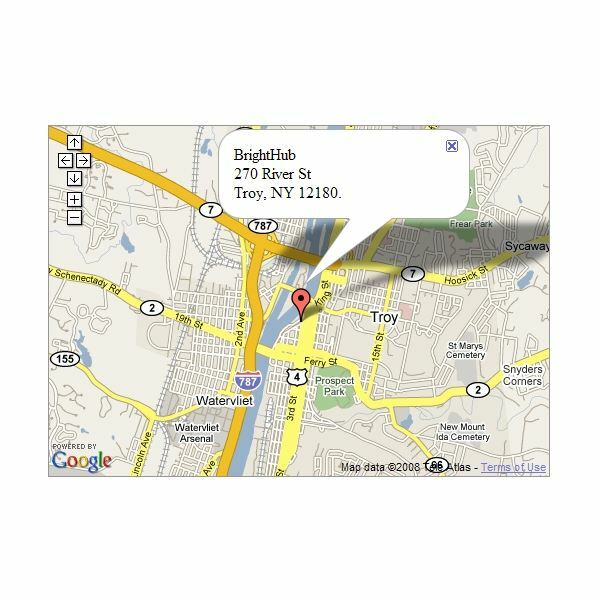 In this article I will show you how to use Google Map API within any HTML page. Step 3. Again within the HEAD section, enter the below script / code. Let’s talk about this code for few seconds. We have a function, named initialize (we can name it anything we want). This function / method is the container of our Google Map code. It is normal that you won’t understand this code if you are not a programmer or don’t understand HTML, but that is OK, because once you run the application all will make sense. You can always come back to review the code again. Every physical location has coordinates (X and Y) and for BrightHub located in Troy, NY those coordinates are 42.732419,-73.690989. Notice we have id=”map_canvas”. This is used by Step 3 above and our code in Step 3 will load Google Maps here. That is all, now you have a page that will show Google Maps using the API, offered by Google for free.